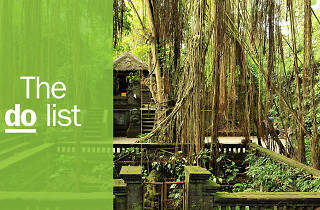 Ubud takes its name from the Balinese word for medicine – ubad – and a stay here is certainly what the doctor ordered. 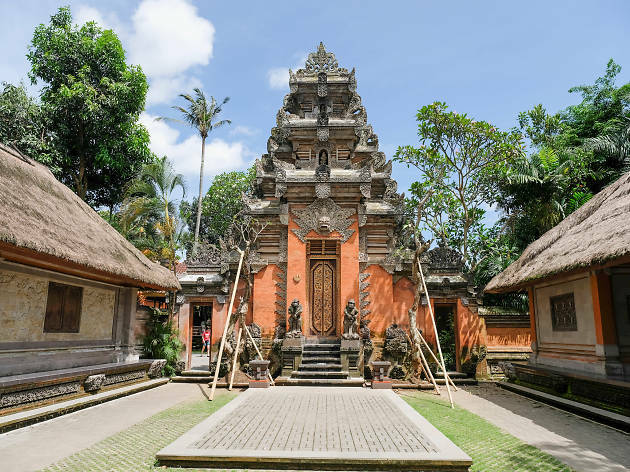 Things to do in Ubud run the gamut from exploring the region’s emerald rice paddies, forests and farms, which showcase Mother Nature at her most fertile, to checking out its cultural scene (galleries, art markets, exhibitions and more), which are equally fruitful. Ubud will woo your eyes, heart and soul; no wonder Elizabeth Gilbert riffed on it so lovingly in her bestselling memoir, ‘Eat, Pray, Love’. What is it? 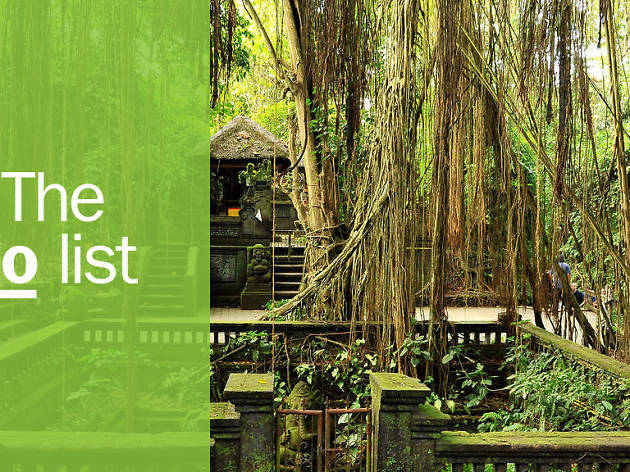 As well as providing a home and haven for hundreds of mischievous primates, this sacred forest in the peaceful village of Padangtegal has more than 186 species of trees, offering plenty of shady spots for sun-frazzled explorers. Why go? 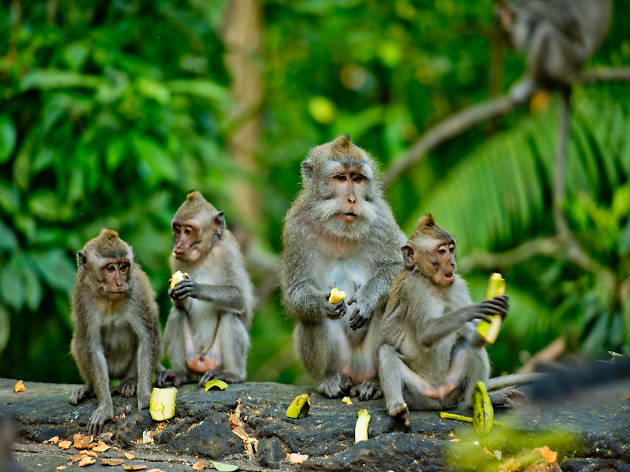 There are 700+ monkey-shaped reasons to head here. Check the forest’s website before you visit, as it often provides an atmospheric setting for traditional performances and ceremonies. What is it? 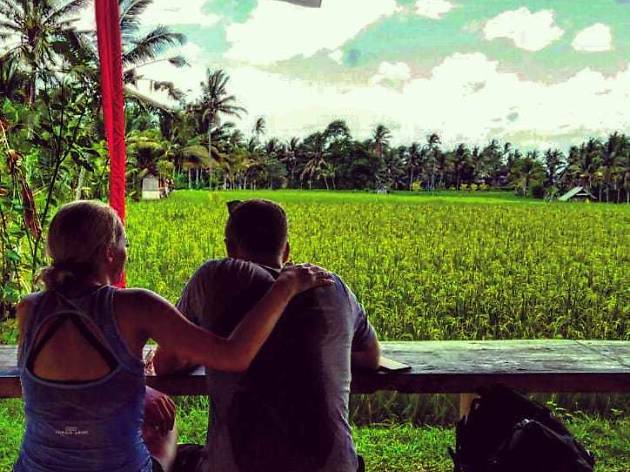 This eco-minded, educational tour company has been going strong since 1999, offering fun cycling tours that combine Ubud’s stunning scenery with insider info on the sights and sites you’ll wheel past. If you’d rather explore on two legs, pick from jungle, rice paddy and Mt. Batur sunrise treks. Why go? All abilities and ages are welcome; the company even has standard-approved baby seats. Don’t worry about your calf muscles: most of the roads are downhill, on lesser-known, traffic-free paths. What is it? Admire Ubud’s iconic emerald-staircase landscapes – made up of vivid tiered rice paddies – in the picturesque Tegallalang district, which is around ten kilometres north of Ubud. Observe local craftworks at the village of Pakudui in Tegallalang, and stay hydrated by sipping a fresh coconut juice, which locals sell to visitors. Why go? 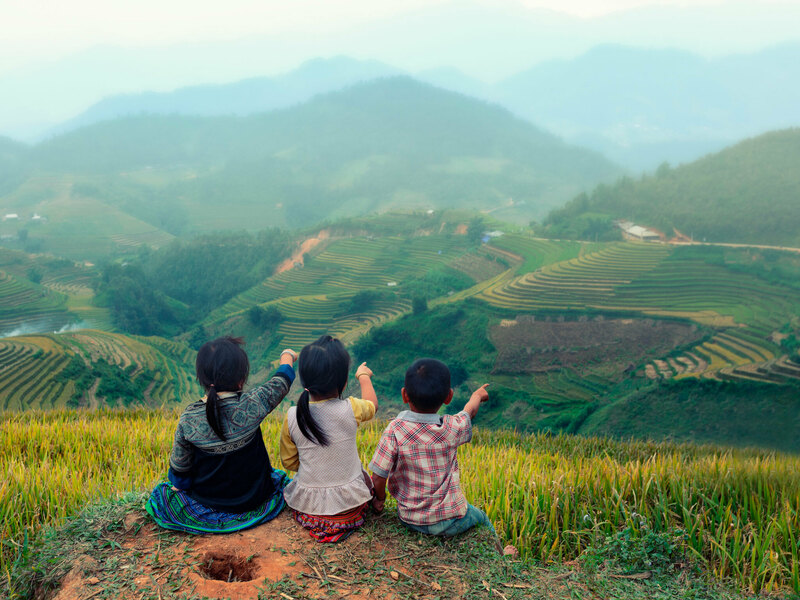 Tegallalang is one of the region’s top-three places (alongside Pejeng and Campuhan) to admire subak: Bali’s traditional co-operative irrigation system, which was reputedly passed down by a holy man in the eighth century. What is it? This opulent palace was once home to Ubud’s royal family. These days, it’s a famous cultural landmark, with a tourist-friendly location on the main Jalan Raya Ubud road and intersection. Why go? If you’ve ever wondered how Balinese royalty roll, here’s your answer. This nineteenth-century palace is celebrated for its beautiful Balinese architecture, lush gardens and vibrant night performances, starring traditional dancers dressed in Insta-hit costumes. Why go? 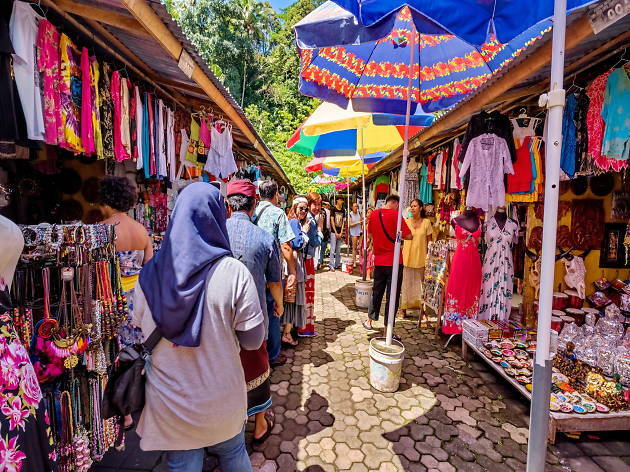 This two-storey labyrinth of stalls sells batik clothing, jewellery, wooden carvings, sarongs and all manner of holidaymaker-seducing merch; in order to get your paws on the best bargains, go deep into the market or head upstairs. Don’t forget your camera. What is it? If you come here expecting elephants, you’ll be disappointed. If you come here expecting an archaeological site rich in historical and cultural significance, you won’t. 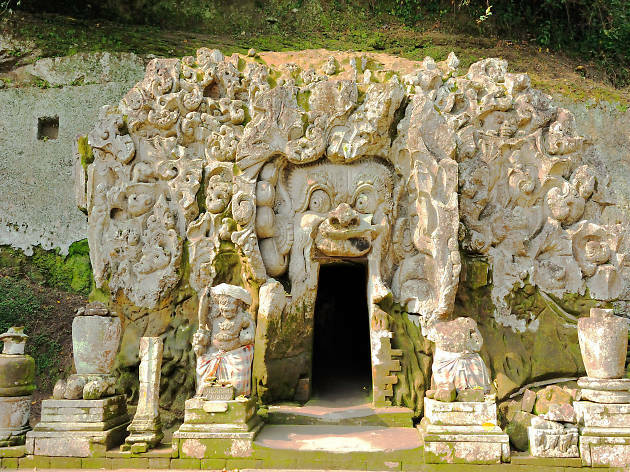 Goa Gajah is located on the western edge of Bedulu Village, six kilometers from Ubud’s centre, where two streams meet on a hillside – giving it spiritual status. Why go? The cave dates back to the eleventh century, when it was used as a site for meditation, though some of its structures reveal earlier Buddhist and Hindu influences. Items for your attention and admiration include the peaceful courtyard, rock-wall carvings, a meditational cave, bathing pools and fountains. What is it? Put a tropical spin on your chocolate addiction at Pod chocolate factory, which started life as a a thatch-roofed hut nestled between rice paddies, jungle and a herd of rescued Sumatran elephants. 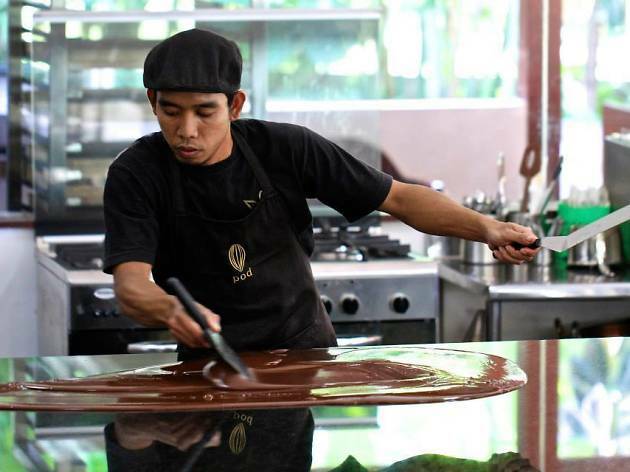 Since 2010, owner and cacao-boffin Toby Garritt has worked with local farmers to harness the flavour of Bali’s cacao beans and perfect Pod’s recipes. Why go? Try your hand at chocolate-making, sample some flavours (there are more than 20 to choose from) and relax in the bamboo shop and café, preferably with a chocolate frappé and a just-baked pastry. What is it? There are swimming pools and then there are swimming pools. 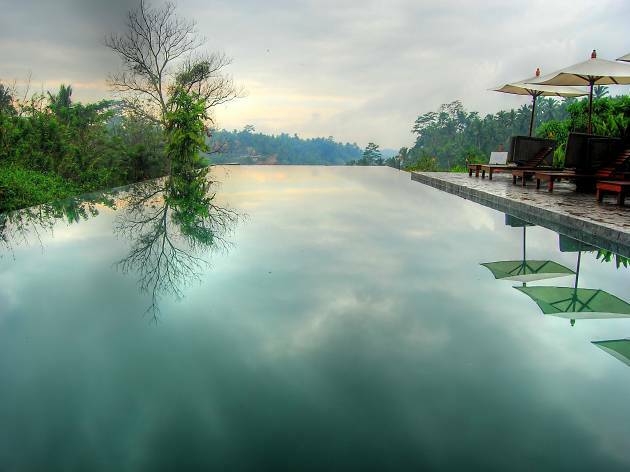 Alila Ubud’s valley-surveying, infinity number has a global fan base; it’s not hard to see why. Rooms at this jaw-droppingly beautiful boutique hotel start from around £190 a night; save some pennies by buying a day pass to get temporary access to the hotel’s tropical oasis. Don’t dawdle though – those sun loungers won’t be vacant very long. Why go? Just. Look. At. It. What is it? Kubu is the romantic restaurant attached to the glitzy Ritz-Carlton Mandapa Hotel. The restaurant’s dramatic design is inspired by kubu: the bamboo huts used by farmers to store their annual rice harvest. Why go? Ever eaten in a private Balinese cocoon by a river before? Thought not. Kubu’s menu champions Mediterranean and European cuisine featuring Balinese-born ingredients. 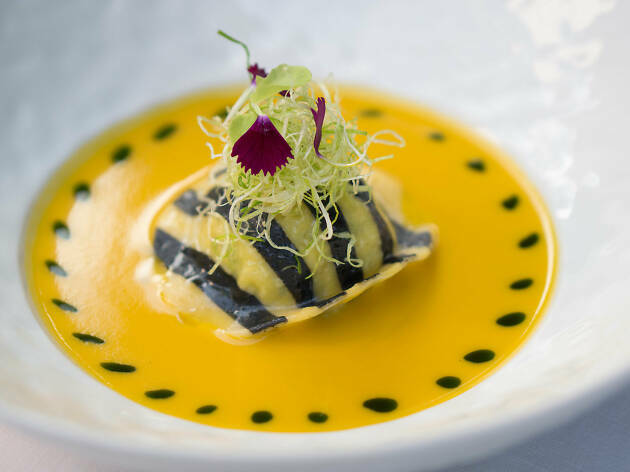 To get the best sense of the chef’s wizardry, opt for the signature six-to-eight-course degustation menus. Soak up the Ayung River views while you feast. What is it? Forget being green with envy, be green in the best way with help from this boundary-pushing, eco-conscious centre of education. The school is a labour of love: it was founded in 2006 by John and Cynthia Hardy, who wanted their daughters to attend a ‘real’ school. Green School opened in 2008 with 90 students and a unique campus set amid the jungle and rice fields. Why go? Now with around 400 students, the school is considered a world-leading example of education for sustainability. It’s living proof that learning comes in different guises. What is it? 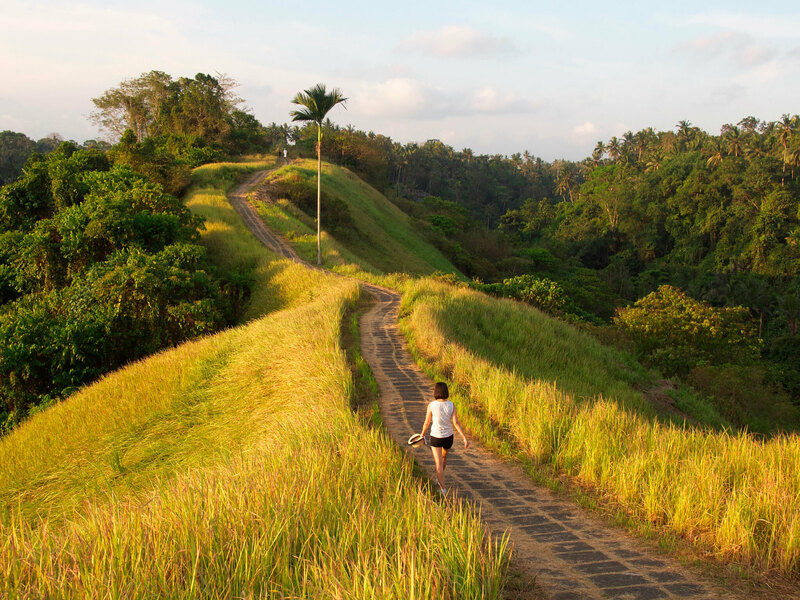 Walk from central Ubud to the start of the Campuhan Mountain Ridge’s paved trail, which spans two kilometres one way. To enjoy cooler temperatures, start out in the early morning or late evening; stop for refreshments at Karsa Kafe, which marks the end of the walk. Why go? Hikers will go weak at the knees – metaphorically and literally – for this scenic trek, which overdelivers on electric-green jungle and forest landscapes, plus wildlife galore.